The Microsoft logo is illuminated on a wall during a Microsoft launch event to introduce the new Microsoft Surface laptop and Windows 10 S operating system, May 2, 2017 in New York City. If you’re a person even remotely annoyed by the pervasive presence of ads in virtually every digital space, it’s probably safe to assume you definitely don’t want them in your email. Microsoft appears to have only just realized this. The page said the pilot program was being conducted in Brazil, Canada, Australia, and India on Windows Home and Windows Pro. It also said that ads would appear in non-work email accounts like Outlook.com, Gmail, and Yahoo Mail, but not in the non-work accounts of users with an Office 365 subscription (which, as it turns out, will run you $7 per month). 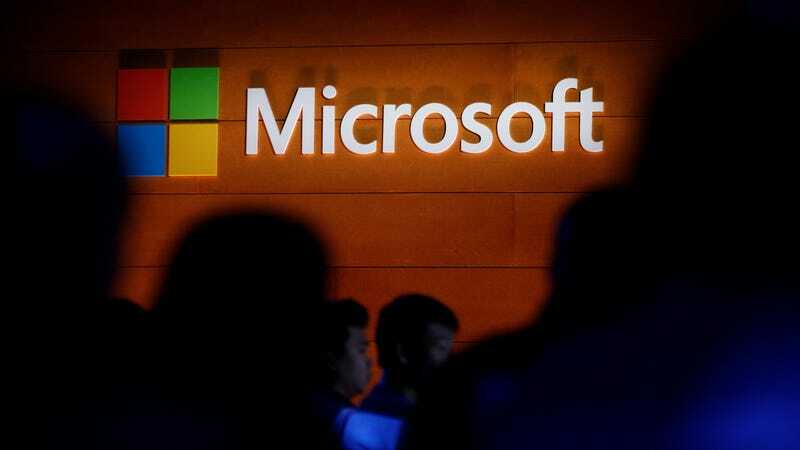 Microsoft said that ads were targeted by default but that users could opt out in their privacy settings. The page also noted that Microsoft wouldn’t scan users’ emails, a practice that’s been employed by the likes of Gmail and Yahoo. The timeline of this rollout isn’t clear, but the Verge pointed to a couple of examples of people tweeting about ads in Windows Mail as far back as July. Either way, in light of the fact that people already hate this feature, it’s better for everyone that it’s being turned off—at least for now. We’ve reached out to Microsoft about the ad rollout and will update this post if we hear back. Destroy Unwanted Email Ads by Filtering the Word "Unsubscribe"